The real Ollie, made famous with his likeness on a pillow, will make an appearance at Orange in Carytown for their anniversary party. Join us, the other awesome artists, and wonderful store owners on May 8th from 5:00 – 7:30 pm at 3007 West Cary Street to help celebrate Orange’s one year anniversary. Ollie and I hope to see you there! 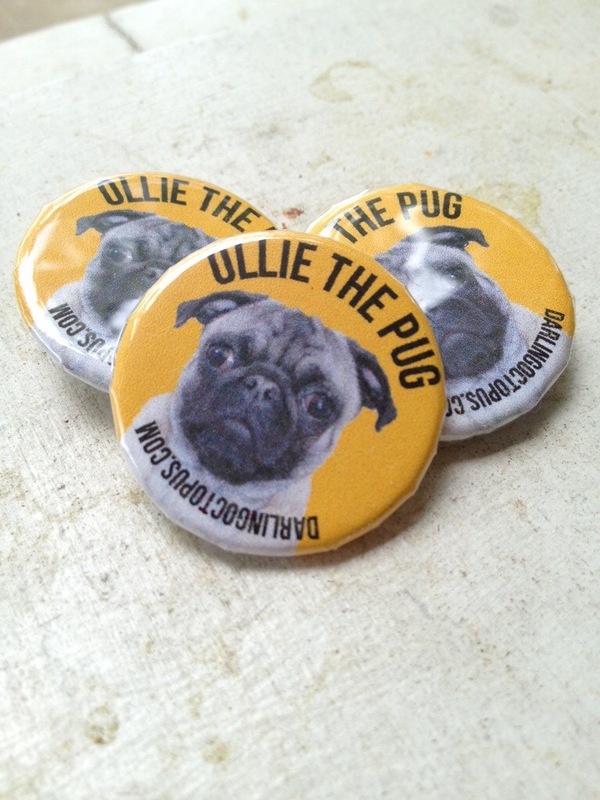 Oh, and we will be giving away these FREE Ollie pins. You know you want one!